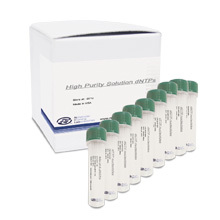 I-5 Hi-Fi DNA HotStart Polymerase is an ultra-fast and high-fidelity DNA polymerase. 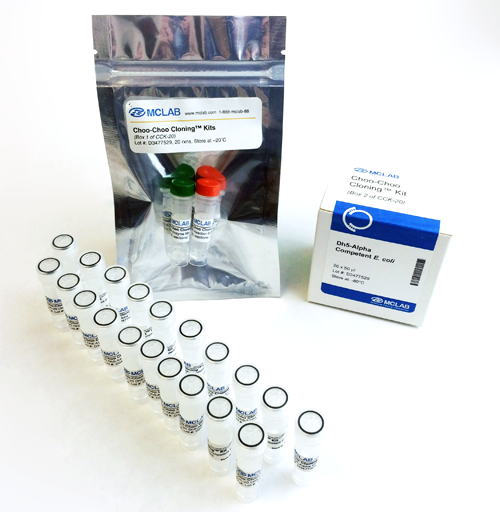 It provides robust amplification of difficult templates including plasmids, BACS, genomic DNA, and lambda DNA. It allows the amplification of up to 10kb human genomic DNA and up to 21kb lambda DNA. It has an extension speed of 1 kb / 10-15 seconds depending on template type. This allows users to save time by speeding up PCR reactions and provides higher fidelity than Taq or Pfu. The enzyme contains a HotStart mechanism that inactivates the enzyme until it is heated. This allows users to setup PCR reactions at room temperature without worrying about primer dimers or non-specific preamplification. One unit is the amount of enzyme that incorporates 5 nmol of dNTPs into acid insoluble material in 15 minutes at 72°C. DNA polymerase fidelity is estimated by the error rate, i.e., the percentage of base substitutions per PCR cycle (given a replication efficiency of 2.0). The error rates of DNA Polymerase I5 (MCLAB), KAPA (Roche) and Q5 (NEB) are measured by both Sanger sequencing and Next Generation Sequencing (Illumina_MiSeq) (Table 1). The fidelity of MCLAB’s I5 DNA polymerase is ultra-high, with an average of 1.25 errors per 100,000bp from both Sanger Sequencing and NGS_Illumina, which is at least equivalent to that of KAPA or Q5. where f is the percentage of errors measured after PCR, and n is the number of actual PCR cycles. Figure. 1, PCR polymerase fidelity estimation by Sanger Sequencing. Figure. 2, PCR polymerase fidelity estimation by Next Generation Sequencing (Illumina_MiSeq). Frey, B. and Suppman, B. (1995). BioChemica. 2, 34-35. Chester, N. and Marshak, D.R. (1993). Analytical Biochemistry. 209, 284-290.